The summer after graduate school, I accepted a job as a copywriter at a well known publishing firm. I had been recruited and hired by a woman named Serena, a blonde, cooly professional woman, who praised my work lavishly. I loved my job. But two months later, Serena was inexplicably fired. They replaced her with a shrill, sarcastic woman named Crystal, who’d once worked for – and been fired by – Serena, and so she took an instant dislike to anyone Serena had hired. Especially me. I believed my work was good; I was dilligent, always met deadlines, and the editors consistently praised me. Yet each week Crystal would summon me to her office, and catalog what she labeled as my professional failings. Some nights, weary and ready to weep, I would finally pry myself from the vise-hold of that office, and Crystal would look pointedly at the clock. “Running out early again?” she would say. I couldn’t wait to get home. My cat would meow plaintively as soon as she heard my key in the door. Some nights, when I was just too tired to cook dinner, I’d go to the freezer, shave off a slice of frozen Sarah Lee chocolate cake, sit by the window and listen to a scratchy recording of Dvorak’s New World Symphony. I was dismal that winter. I had just lost my beloved Aunt Jeanette, and Dvorak’s sonorous second movement, a beautifully melancholy melody based on an old spiritual called “Going Home,” spoke to my sadness. Home was my haven. Alone in my 11 by 14 foot bedroom, I would sit for hours at my desk, a long butcher block slab that rested on white particle board crates. Nightly I would fill the pages of a black and white marble composition book, parsing the events of the day. Writing was my refuge. There I felt most fully myself, a person I was just coming to understand. Writing pinned the chaos to the page; it made it containable and manageable. I was 25, living alone for the first time, in a diminutive one bedroom apartment near New York University. I was finishing a Master’s degree there, and had been dating another student named Victor on and off for two years. I liked and admired Victor, and I loved that he could always make me laugh, but I felt not an ounce of passion for him. I was repulsed by his sexual overtures; his kisses were so sticky that I wanted to wipe my mouth. One icy rush hour evening, Victor managed to wedge his foot between the subway car and platform. While he was recuperating, I stupidly spent a night with a man who’d pursued me unsuccessfully all through college (and who, once I’d finally succumbed, didn’t call again for three months.) It had left me feeling used, bruised and abandoned. I was still licking that wound a week later, when a strike by the city’s transit workers derailed the entire subway and bus grid, bringing all five boroughs of New York to a standstill. “I accept your gracious invitation,” he said. For the next eleven days and nights that the strike lasted, Victor, as well as Meg, our mutual friend from Brooklyn, camped out in my apartment, passing containers of Kung Pao chicken and sesame noodles. My refuge had become a flophouse: Victor and his crutches took over the tiny bedroom; Meg commandeered the sofa bed that, when open, covered most of the living room floor. The only privacy to be had was in the small windowless bathroom, strewn with towels, toiletries and a large litter box. There was nowhere to write, nowhere to read, nowhere just to be. Each morning I couldn’t wait to leave. I would lace my sneakers, toss my high heels into a tote bag, and walk two avenues west and 40 blocks north to my office overlooking Rockefeller Center. Exhausted, I would fortify myself with endless cups of coffee. By lunchtime my fingers would jitter across the typewriter keys. And so the transit strike labored on, amidst rumors it would not resolve before summer. 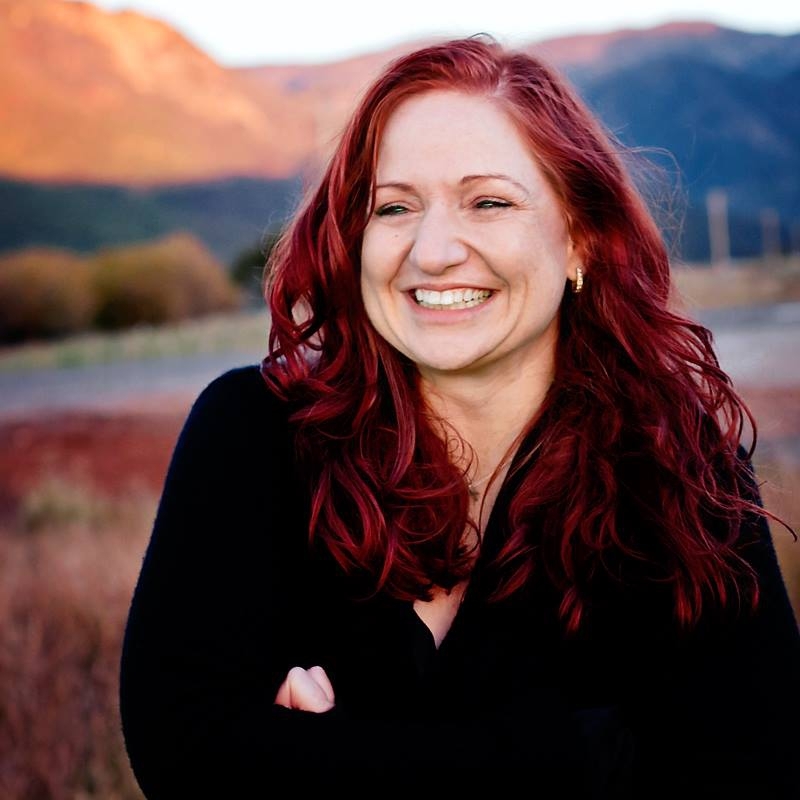 One morning, Crystal ripped up the pile of press releases I’d written the day before, dropped a mountain of manuscripts she demanded I read for the next day, and departed the office in a miasma of malice. I cradled my head in my arms, fighting tears. My face grew hot, my hands icy; my heart pounded. Suddenly I couldn’t breathe. The sense of impending doom was overwhelming. I was certain I was going to die. I thought: I can’t do this anymore. I got home; all I remember is flinging myself onto my bed, still flailing against the quicksand pull of panic. I thought I was going mad. I now know that what I suffered that day was a classic panic attack. Not surprising, given that I felt hounded at work, constricted with grief for my aunt, and strangled in a dreary, dead-end relationship from which I did not know how to extricate myself. For as long as the transit strike wore on, I had – quite literally – nowhere left of my own. The strike ended; the house guests departed. I found a therapist, booked a Club Med trip with my college roommate, and, two months later, on the aptly named Paradise Island, I met the man who would become my husband within the year. Since then, I have made sure always to preserve a place of my own. I feel most grounded when I am in front of the keyboard, most fully myself. At my desk, I am still the dreamy teen writing unrequited love poetry to an older teacher; the harried young mother eagerly snatching at spare moments while the babies nap; and the middle aged woman, struggling to wrest meaning from the mystery of a disabled son. When I write, I feel ageless, forever forging myself in the word smithy of my soul. 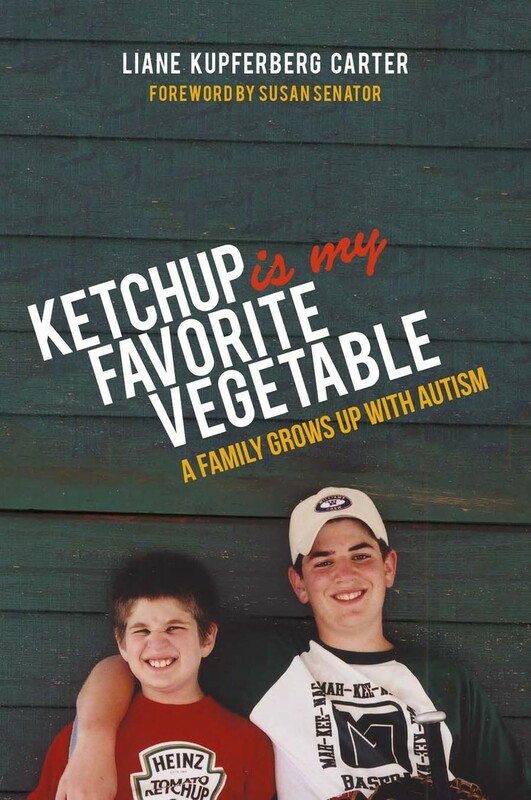 Liane Kupferberg Carter is the author of a new memoir, Ketchup Is My Favorite Vegetable: A Family Grows Up With Autism (Jessica Kingsley Publishers). 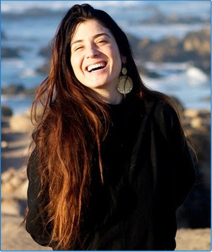 Her articles and essays have appeared in the New York Times, the Chicago Tribune, Brevity, Literary Mama and The Manifest-Station. For more information, visit her website at www.lianekcarter.com; follow her on Facebook athttps://www.facebook.com/LianeKupferbergCarter and Twitter at @Lianecarter.